Baalgatha: Classic Stories for Children | Listen Free on Castbox. Listen to the updated version of this story. This is a story from Northern India, narrated by Sheerali Biju for Baalgatha Podcast. Originally titled "The Legend of Gwashbrari, The Glacier-Hearted Queen", this story was published in the book Tales of Northern India, compiled by Flora Annie Steel. How to Subscribe to Baalgatha Podcast?You can subscribe to this podcast on Spotify, Apple Podcasts, Google Podcasts, Stitcher, Castbox, Hubhopper, Radio Public, Storiyoh, Tunein, Stitcher, and many other fine websites and apps where you listen to podcasts.If you have any comments or feedback, you can write to us at contact@gaathastory.com. Listen to the story of a stone cutter, who wants to become the most powerful in the world. In the process, he is helped by a spirit of the mountain. The spirit helps the stone cutter become the most powerful person in the world, and he becomes a rich man,a Prince, the Sun, a cloud, and a mountain. But finally, what does he become? You may find t his story very similar to the tale The Wedding of the Mouse, and both stories carry a message that we should be happy with who we are and not desire for things that we do not possess.This story was narrated by Sheerali Biju for Baalgatha Podcast and was originally written by Andrew Liang's The Crimson Fairy Books.How to Subscribe to Baalgatha Podcast?You can subscribe to this podcast on Spotify, Apple Podcasts, Google Podcasts, Stitcher, Castbox, Hubhopper, Radio Public, Storiyoh, Tunein, Stitcher, and many other fine websites and apps where you listen to podcasts. 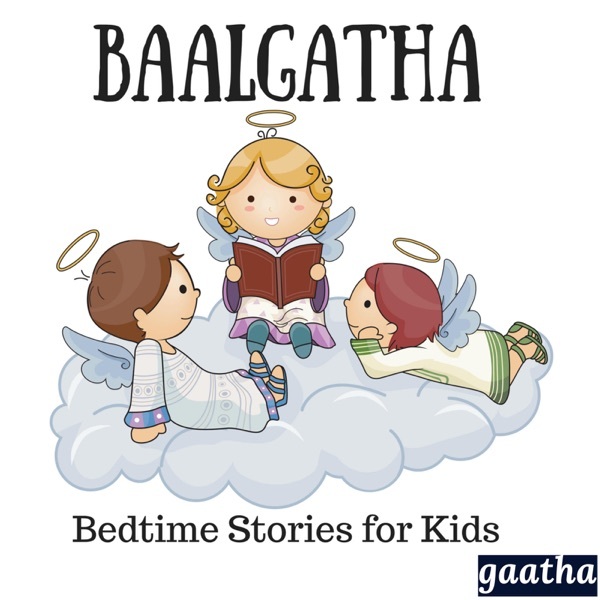 Listen to this story from our archives- a Panchatantra tale, brought to you by gaatha story. In this story, a Guru rescues a small mouse. When she grows up, he starts on a quest to find her a husband. What happens next?This story was narrated by Sheerali Biju for Baalgatha Podcast. You can also listen to the Hindi version of this story on Baalgatha Hindi Podcast - titled Chuhiya Ki Shaadi.How to Subscribe to Baalgatha Podcast?You can subscribe to this podcast on Spotify, Apple Podcasts, Google Podcasts, Stitcher, Castbox, Hubhopper, Radio Public, Storiyoh, Tunein, Stitcher, and many other fine websites and apps where you listen to podcasts. Today we bring you to another story from Japan- the Mirror of Matsuyama. A young girl called Matsuyama lives with her father and mother in a remote village in Japan. One day, her father brings gifts for Matsuyama and her mother. The gifts include a mirror. What happens next? Listen to this story to learn more. How to Subscribe to Baalgatha Podcast?You can subscribe to this podcast on Spotify, Apple Podcasts, Google Podcasts, Stitcher, JioSaavn, Castbox, Deezer, Hubhopper, Radio Public, Storiyoh, Tunein, Stitcher, and many other fine websites and apps where you listen to podcasts. Visit gaathastory.com/baalgatha to learn more. Listen to the story, also known as The Lazy Townspeople, about a town in which people are extremely lazy. They do not believe in keeping their town clean. But one day, the chief of the town decides to change their habit. What does he do? Does he succeed in his mission? Listen to this story to learn more.Visit gaathastory.com/podcasts to learn how you can subscribe to this podcast on Apple Podcasts, Google Podcasts, Stitcher, Saavn, Castbox, Hubhopper, Storiyoh, and many other fine websites and apps where you listen to podcasts. This is a story from India compiled by Flora Annie Steel. A Jackal sees a plum tree on the far side of a stream. The tree is ripe with fruits, but the jackal is unable to reach it. The Jackal then decides to take advantage of a gullible crocodile, in order to eat the fruits. What happens next? Listen to this story to learn more.Visit gaathastory.com/podcasts to learn how you can subscribe to this podcast on Apple Podcasts, Google Podcasts, Stitcher, Saavn, Castbox, Hubhopper, Storiyoh, and many other fine websites and apps where you listen to podcasts. Listen to the story of the Rabbits who are frustrated and disappointed upon being attacked by dogs, humans, birds of prey and just about every other animal. One day, they decide to end their lives by jumping into a pond. There, they encounter a group of frogs. What happens next? Listen to this story to learn more. The moral of this story is that no matter how bad your situation might be, your situation might still be better than someone else's. This story has been published in Baalgatha - Hindi Podcast as Mendhak Aur Khargosh (मेंढक और ख़रगोश) Visit gaathastory.com/podcasts to learn how you can subscribe to this podcast on Apple Podcasts, Google Podcasts, Stitcher, Saavn, Castbox, Hubhopper, Storiyoh, and many other fine websites and apps where you listen to podcasts.This story, and accompanying sound effects and images were obtained under creative commons license. Nice music and story narration.